How do animals become extinct? What types of animals are threatened or endangered in Australia? What can you do to help Australian animals? 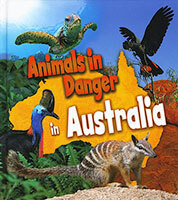 The books in this series introduce readers to different threatened and endangered animals living around the world.